Bloom! A Bouquet for Everyone - is a time management game set in Jasmine's flower shops, where she plants, harvests, gathers, and arranges flowers. Play over 60 levels in which you'll create custom bouquets and restore Jasmine's passion for her business. Earn tokens to upgrade your shop, hire employees, and see how your flowers change your customers' lives. If you have questions about Bloom! 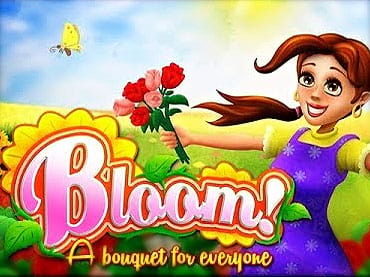 A Bouquet for Everyone game, please contact us using this form.